Welcome to our new residents, John and Sue Rajahn of 1 Lakeview Drive. We look forward to seeing you at the coming events. TUESDAY, NOVEMBER 1,2005 AT 7:00 P.M.
FYI: Anyone interested in playing EUCHRE would be very welcome at the Clubhouse on Tuesday afternoons at 1 :00 P.M. for Ladies Euchre or on Wednesday mornings at 9 for Progressive Euchre. Please bring fifty cents for each session. If you haven't played for awhile don't worry about it - the game will come back to you. Each session usually takes two to two and a half hours. If you have any questions, please call Nancy Barcus at 787-0499. Thank you to the LIBRARY volunteers who live here all year for keeping the library in such great shape all summer long. They are: Mary Douglas, Judy Laqualia, Doris Patterson, Jean Smith and Nancy Young. Habitat for Humanity still needs your used postage stamps. Just cut them off the envelope and put them in the large envelope that is on the bulletin board at the Clubhouse marked "Stamps for Humanity". Manager Vera Brown would like to thank everyone for all their kind wishes, telephone calls and prayers while she was ill.
1) Disposal of copier: The copier was originally used for printing the Seagull and for making copies for our residents (individuals or committees). The Seagull is now printed off site. Since I have taken over the copier job - I have had two requests from residents to make a copy. We pay almost $200 for a service contract and most of the time there is a problem with the copier when I go to make copies. We would like to sell the copier and cancel the service contract. Individuals needing one or two copies can contact me. Committees needing flyers for events can also contact me and I will get the copies printed. 2) Money for "Come to the Islands" Entertainment: In past years we have allocated up to $2,000 for entertainment. The money being requested for this band will come out of the entertainment funds. 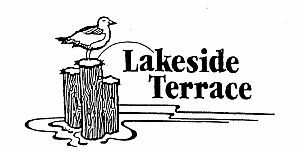 3) Lakeside Terrace Directory: The company that provided our directory cancelled our contract. The company that took over the contract could not supply us with a directory until March. Since we have had so many new residents move in it was decided at least for this year that the Social Club would develop and print the directory at a cost not to exceed $200. This would provide two printings of the directory - November and February. By having 2 printings this year we can hopefully get the most current information out to our residents. If you are new to Lakeside Terrace, we would appreciate you contacting me with your name, address, phone number and your home state. You can contact me at 728-8121 or leave the information in the Social Club box at the clubhouse. 4) Care Packages for Military: A resident has suggested that Lakeside Terrace send care packages to military personnel in Iraq. This is an excellent idea especially with the holidays just around the corner. Residents who know of service men and women serving in Iraq could provide the names and addresses. There are several ways we could proceed. One suggestion is to have 1 person a month to coordinate the process. That person would get a committee together to collect items and ship them. This will be an item for discussion at the November meeting. Crime Prevention Presentation: Have you ever asked yourself "How can I protect myself and my home?" If so - come to the clubhouse on Saturday - November 12th at 8:30 for a program that will address your concerns. A retired law enforcement officer will be here to i address your concerns and questions - having seen the presentation before we highly recommend it. This is an important topic and one which all of us should attend. The coffee and donuts will be free. program will be held November 8th at 12 noon at the clubhouse. There is a flyer included in this newsletter regarding this important date. This presentation may conflict with an activity already scheduled so I'm asking your understanding if we need to delay or postpone your activity. We are trying to bring in speakers that will address the needs of our community. The Crime Prevention and the Medicare Prescription Program are presentations you, the residents, have asked us to provide for our community. The presenters are taking their time to come to our community to provide you with important information. Please show your support by attending both of these meetings. Resignations: Sadly I have to report that our 50/50 lady (Evelyn) would like to retire from her duties. She's not sick or anything - she just needs a break. Can't imagine why - she's only been doing it for 6 years. Truthfully, I understand and luckily I was able to find a replacement. Pattie Voelker has graciously agreed to serve as our 50/50 lady. Thanks to Pattie for accepting the job. Evelyn, we all want to thank you for a job well done. Also, Bill & Janet Cutler are retiring after taking care of our Bingo Kitchen for many years. Thank you for providing us with goodies on bingo night. Veda Lemcke is taking over for them. Thanks to Veda for accepting the job. Bulletin Board: The bulletin board has been reorganized. If you are looking for something and can't find it -keep looking - I promise it's there. 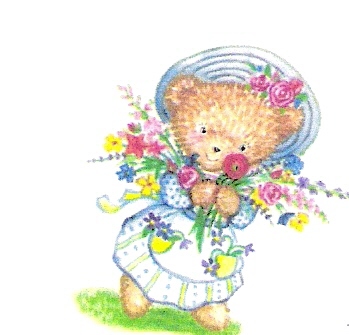 I'd like to remind anyone who has an item or items for sale - please put the information on a 3 x 5 card and put the DATE on it. Reminder: If you see someone in the park who you don't think belongs here, please notify the manager so he can take the necessary action. We have recently had people soliciting for local newspapers and there have been a couple of kids riding their bikes around who live nearby. Hot Tub/Spa: We were hoping that we could report that the hot tub/spa was completed but unfortunately that's not the case. Murphy's Law has definitely applied to this project. Hopefully by the deadline for next month's Seagull we will have a closure to this ongoing tale. FYI: The following has been a topic of conversation for at least a couple of years. After being approached by some residents it was decided to circulate a petition (see wording below) to ascertain if there is support for the change in the HOA Bylaws. If enough signatures are obtained then this item will be on the agenda for the annual meeting for a vote by the membership. By publicizing the fact that there is a petition being circulated, this gives residents time to discuss the matter and make an informed decision. We, the undersigned, propose Article 4 Directors be amended. Change is noted by the underline (present wording) and italics (new wording). 4.1 Membership: The affairs of the corporation shall be managed by board of five (5) directors. All directors shan be year round residents of the park. "Year Round Resident" shall mean a homeowner who resides in the park a minimum of ten (10) months in each calendar year. All directors may be part-time residents. Part-time shall mean a homeowner who resides in the park six (6) months in each calendar year. This all seems like a lot of information but we are just trying to keep you informed. Coffee & Donuts provided at 8:30 a.m. Program to begin between 9:00 and 9:30 a.m.
November 14th Flu Shots starting at 9:00 a.m.
1 Write down any questions that you now have. 2 It would also be helpful for our seniors to look through their new Medicare Booklets and send for copies of several of the programs listed in the back of the book for all Florida and Lake County. 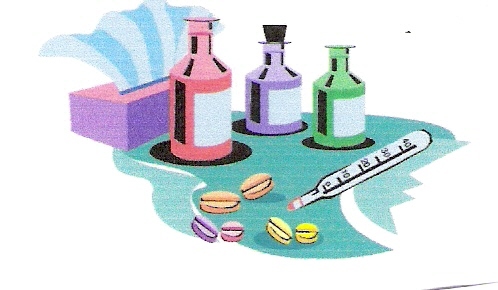 3 Make a List of your medications, their name or generic name and the drug company it comes from. That information can be found in the middle of your medicine bottle or container. 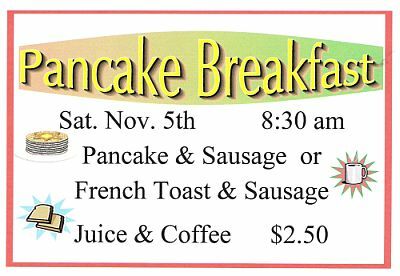 Saturday - November 12th - 8:30 a.m.
Medicare Part B card, $40 without one. pneumonia shot, at least once. Tetanus is also available at $37, needed every 10 years. The Date may be changed if there is a delay in vaccine delivery. The Health Department will provide the staff and vaccine. on the board, of any of our residents who have been ill or have suffered a loss. Your continued help will be greatly appreciated. in the Pool Room at the Clubhouse. Sorry that we missed the cutoff date for the last "Seagull" to say a BIG THANK YOU for the cards, phone calls, food, transportation and other kindness that Bill and I received, when Bill broke his ankle on Aug. 28th. The E-Mail must have been involved too as there were cards and calls from those not in the park at the present time. CALENDAR - Starting this month there is a new system for keeping track of park activities and events. Carole Kolbe, Social Club President, has suggested an easier and more accurate method of identifying those things which are of a particular interest to you. She has prepared a complete list (copy attached) of all functions, noting date, time, etc. We have left the calendar days blank so that you may add to them only those things which appeal to you and which you wish to participate in. The calendar was just becoming over-booked and crowded. This new system should enable you to better arrange your social activities here in the community. Many thanks to Carole - sure makes our job easier! Remember, if you have any contributions for the Seagull, please drop them off into the Blue Box marked "Seagull" in the Clubhouse by the 25th of the month. The race doesn't always go to the swiftest. The best hand doesn't always win the pot. Some of us bluff thru life with a four-card flush. Having to play the cards we got. So if you're holding something less than the best hand, Don't be sad or dismayed. Matters little how the cards are dealt. Success depends on how they're played.